Modern Painters is not just a reflection of the art of the day; the publication is focused being a voice for contemporary art and its artists. Buy a single copy or subscription to Modern Painters magazine. The magazine covers everything art including visual arts like photography, architectural design, movies, books, and dance. Modern Painters magazine was founded in 1988 by art critic Peter Fuller and is published on a monthly basis. Every issue contains in-depth interviews of two artists from around the world. The magazine also includes profiles of contemporary artists, curators, museum directors and collectors. Reviews of art exhibitions, shows, festivals, films and books are regular features of Modern Painters magazine. For the person who wants to experience and learn about contemporary art. The magazine is international in scope with profiles and interviews with prominent figures in the world art scene. 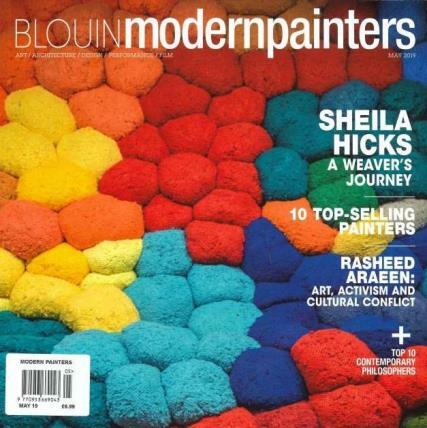 A subscription to Modern Painters magazine provides an education in art while stimulating the senses.